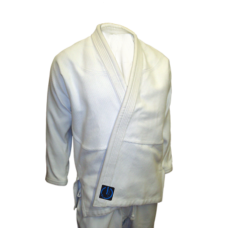 The Legacy Academy (fitted) Kimono is made from 450gsm Pearl Weave Pre Shrunk Cotton. This Gi is as soft and as durable as ever, and can handle your toughest training sessions. The 10oz RipStop Pre Shrunk Cotton pants are designed to withstand endless punishment with reinforced stitching at every seam. The fully reinforced gusseted crotch ensures unrestricted movement through your transitions. Available in Adult, Woman, and Children’s sizes.